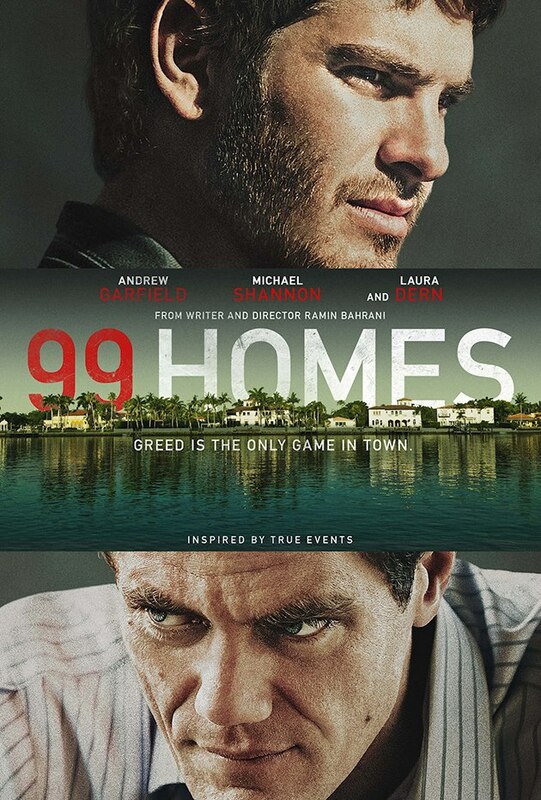 99 Homes shouldn’t be described as the typical tour-de-force, but more of a tour-de-fact cinematic achievement. Holding his own against a larger than life acting force that is Shannon, Garfield’s Nash allows himself to feed off Carver’s greed and sinisterly convincing monologues with scenes of heart-wrench, grit and sensitivity. Read my review of director Ramin Bahrani’s first film, Man Push Cart. Read A.O. Scott’s comprehensive NYT review here. Quiet dialogue scenes between two characters are filmed in such an impactful way, making them feel hauntingly austere, sweet and innocent, or terrible and frightening, through meticulous use of composition, light and sound. The performances are excellent, most notably Alicia Vikander as the beguiling Ava, who absolutely passes for being ‘almost human.’ Domhnall Gleeson also delivers a quiet and focused performance as Caleb. Like Ava, he is relatable… in complete contrast to the boorish, reckless Nathan (Oscar Isaac). The dialogue feels real and non-cliché. The ending probably will not satisfy everyone… Overall I found it to be enthralling and disturbing stuff. This year, I’ve been listening to a few different movie podcasts; ALL of them reviewed and praised this sci-fi film. I FINALLY saw it 2 weeks ago and was VERY surprised (which is rare these days- stories becoming more and MORE repetitive, cliched, and just plain boring). 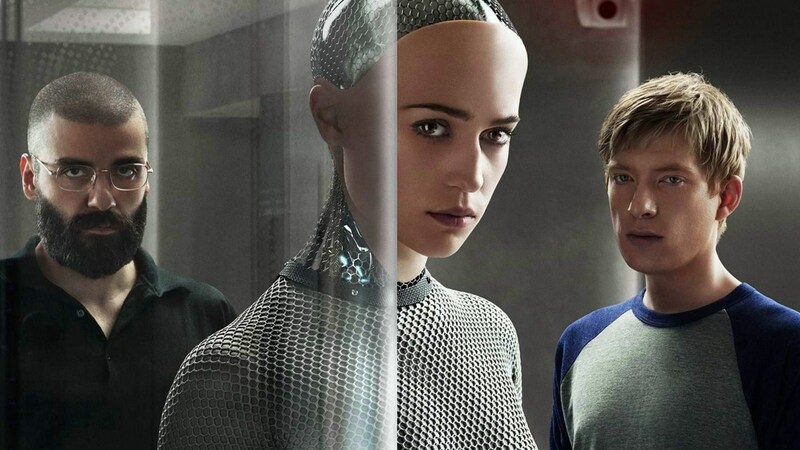 Alex Garland, the writer and director, is going to be one to watch in the future (no pun intended). This is more like a 3-person play, as one critic noted, NOT a typical sci-fi film. Even the music is out-of-the box! You can watch it on Netflix; don’t forget to recommend to your friends who don’t usually go in for sci-fi (they’ll thank you later). Do y’all remember when I FIRST wrote re: Issac? 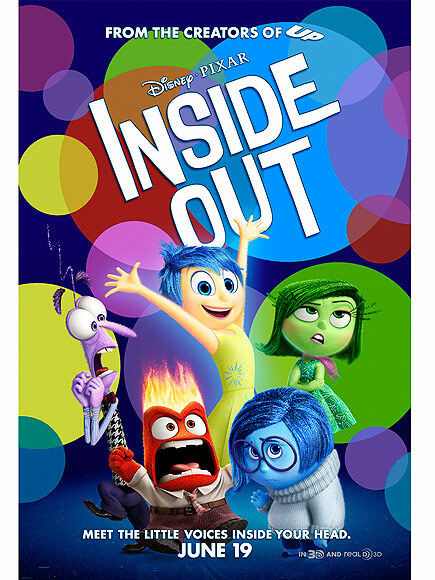 This is another film I saw at a pre-screening (w/ my movie Meetup group): I went in knowing almost nothing about it, aside from the fact that Kaling, Amy Poehler, and Louis Black were playing some of the voices. It ALSO turned out to be a pleasant surprise (Bing Bong was one of my faves)! The crowd was moved throughout the animated film; we were almost ALL grown-ups from 20s-50s. You can see this film w/ the entire family- each person will get something different out of it! I went to see this film w/ my mom- we BOTH loved it! And can you believe that Saoirse Ronan is ONLY in her early 20s!? 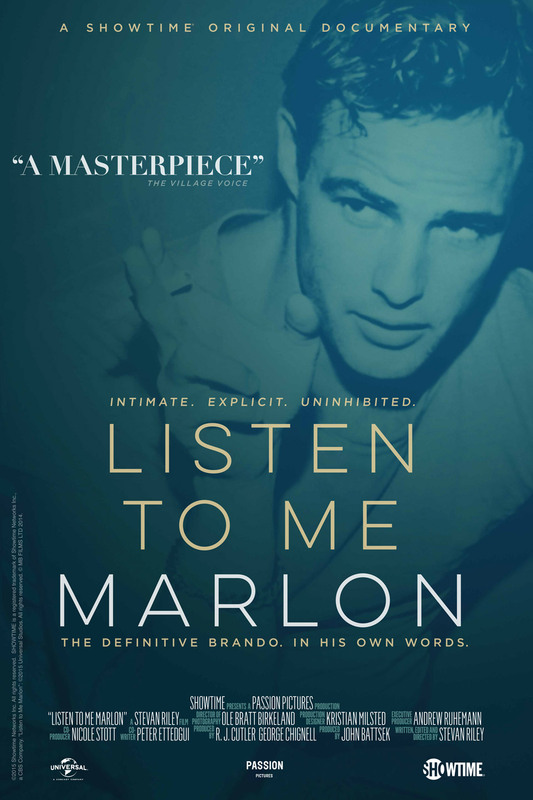 Emory Cohen (who I’d never seen before) does a FINE job as Tony; I think he was channeling a young, BUT more low-key version of Brando. This is another film w/ Domhnall Gleeson- here, he plays Jim, the handsome (check out that darker red hair and preppy wardrobe), well-settled Irish bar owner; this is a far cry from his roles in Ex Machina and the new Star Wars film. Read Virginia’s VERY well-written review here. A MUST-SEE for fans of classic films! It has been playing on Showtime for the past 2 wks or so; it will be on WED, 12/30 at 10PM EST. It kept me glued to my seat past midnight, even though I should’ve been sleeping. By now, you ALL must have seen this movie- maybe some saw it twice! There were quite a FEW surprises for me, even though I’d (partly) been spoiled by the time I saw it last week. 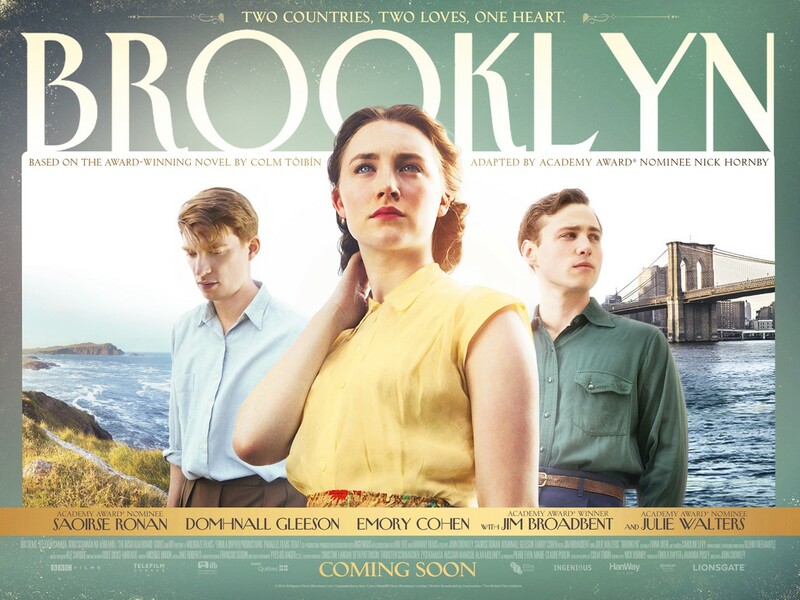 Gleeson is here again (getting to REALLY like him), as are Isaac (LOVE him already) and Adam Driver (mostly known for his recurring role on HBO’s Girls). Harrison Ford is onscreen for a good amount of time- my mom and lil bro BOTH liked that. 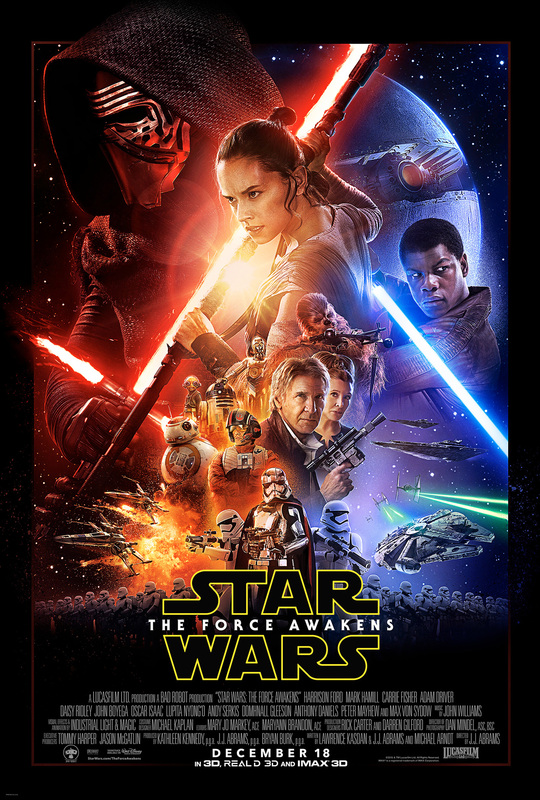 The two newbie leads (Daisy Ridley and John Boyega) did VERY well; they also had GREAT chemistry. My mom also liked the new robot (BB-8). Go check it out if you haven’t yet- you’ll have a GREAT time for sure! Listen to Zaki & Brian’s podcast review here. 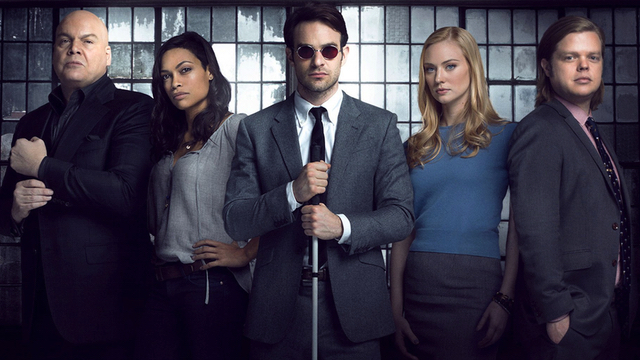 This show (unlike Jessica Jones- sorry, big fans) has a likeable lead character, blind vigilante/lawyer Matt Murdock (played by the boyish Charlie Cox), a terrific/multi-layered villain- Wilson Fisk (Vincent D’Onofrio), and even some humor (Daredevil’s best bud/law partner, Foggy). The writing is quite strong, as are the recurring/side characters; I LOVED the flashbacks (esp. Matt’s relationship w/ his struggling/loving boxer father). One of the unusual (for our time) themes of the show is hero’s relationship w/ his religion (Catholicism, in this case). I just found that SO refreshing! As for D’Onofrio, he was the main draw for me (WOW, I was NOT disappointed)! There are strong/interesting ladies on this show, too, including the nurse (Rosario Dawson) who also appears in Jessica Jones. You probably know the history behind this (much lauded) show, BUT it’s VERY funny, clever, and (at times) emotional. I’ve recommended it to MANY folks, esp. to those who are 1st gen growing up in U.S. (I even got my parents into watching it, though they prefer films.) There are some jokes that are even MORE funny if you’re from an Asian-American background! Constance Woo (just aged 29- WOW) has recently gotten a LOT of positive reviews; they are well-deserved. With each ep, I see the lead actor (Hudson Yang), getting more stronger, confident, and on point. He reminds me of a few boys (and even girls) that I knew back in JHS and HS. 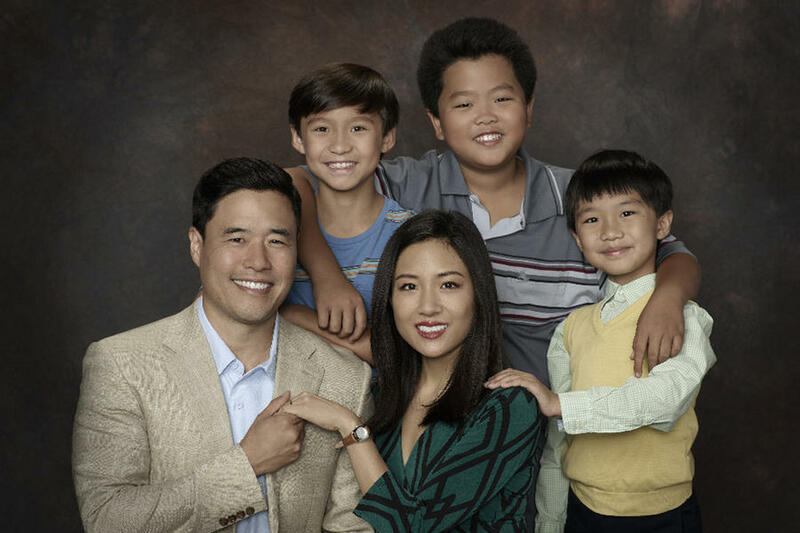 The BEST thing about this show (IMO) the solid, loving, cooperative marriage between Jessica and Louis (Randall Park, an actor I always liked). 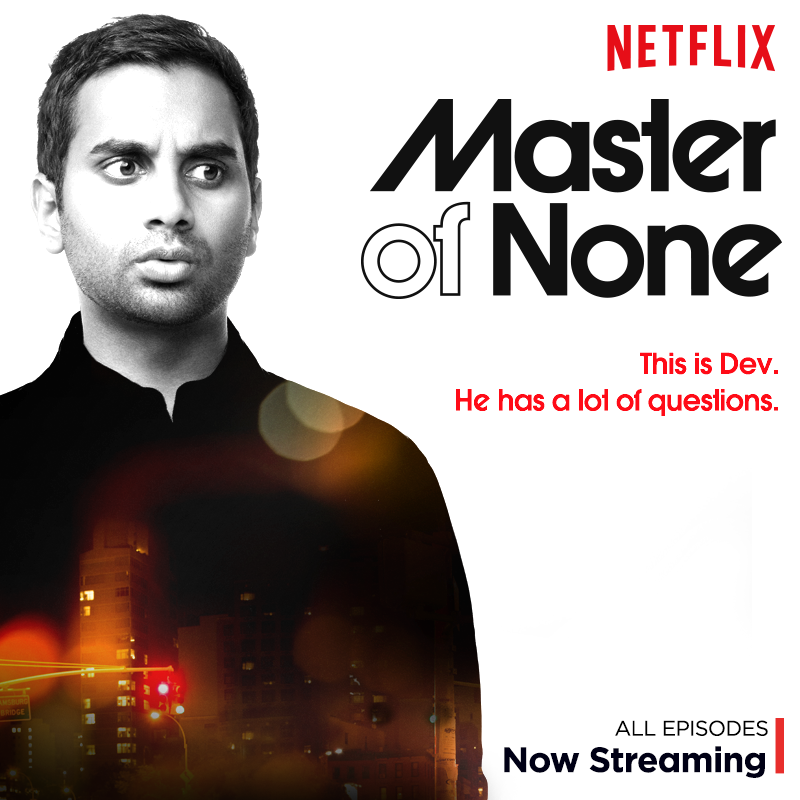 This comedy series (created by Aziz Ansari and Alan Yang) is unlike ANYTHING I’ve seen on TV- you NEED to see it now… or VERY soon! Ravi Patel (Meet the Patels) is a recurring character on the show; he plays an Indian-American actor (just like Dev). Ansari (just in his early 30s) cleverly brings up themes like typecasting in Hollywood, which even someone of his popularity has been subject to in the past. The ep focusing on the creators’ parents coming to America stories has been highly recommended by friends, critics, and MANY of you out here online. Hopefully, you were able to see the finale (WOW, it was a surprise) last SUN. 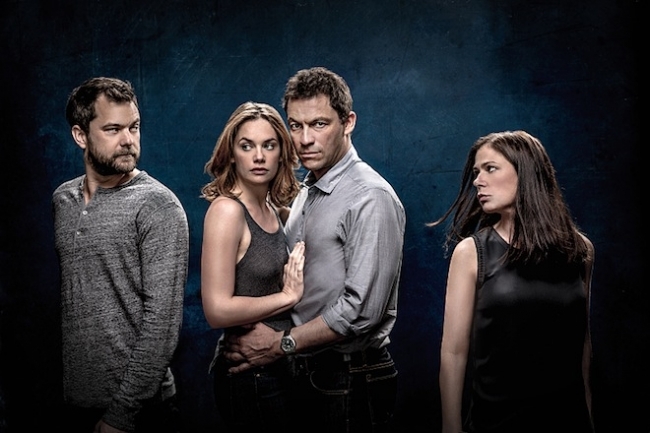 I thought that the show (which features 4 strong co-leading actors in their 30s and 40s) was taking a weird turn, BUT it got back on track quickly! Let me know- are you #TeamNoah (as I tried to be) or #TeamCole (it’s tough to decide)? Are you excited about Season 3?